The Roshe Run receives yet another makeover with this latest look for the ladies utilizing a combination of premium suede and leather. This latest look for the dependable Roshe Run earns our respect with a full suede build, covered in a color combo that's just as impressive. Court purple suede takes care of the toe area, while black does it's job on the premium suede overlays. An anthracite leather Swoosh is thrown into the mix, with an off-white Phylon sole sitting below. 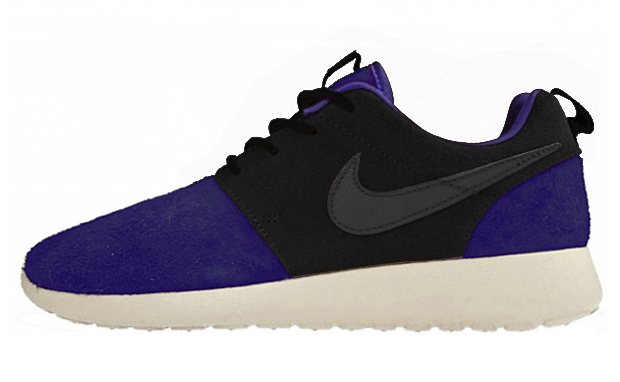 This premium release of the Women's Roshe Run is expected to arrive soon at select Nike Sportswear accounts.